Love inspirational stories on screen? 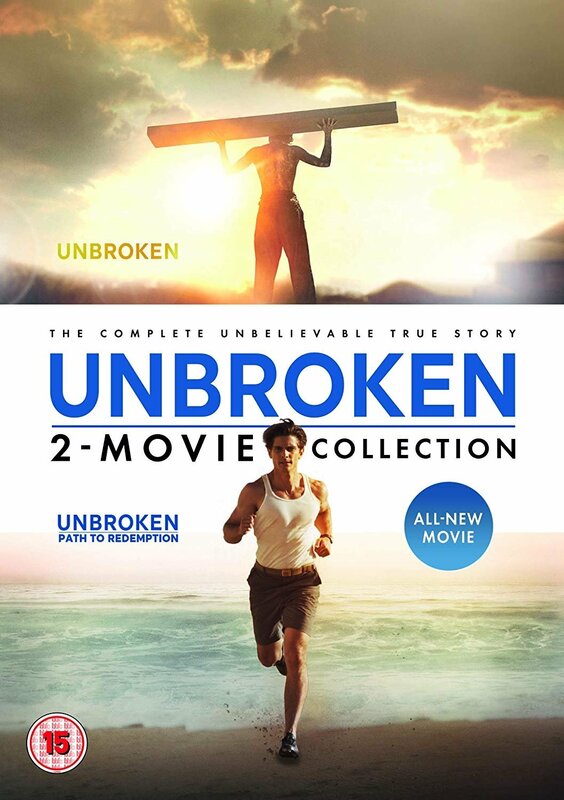 The complete unbelievable true story brought to life in this two-film collection - including Unbroken and all-new movie Unbroken: Path To Redemption. Academy Award winner Angelina Jolie directs and produces this epic drama that follows the incredible life of Olympian and war hero Louis "Louie" Zamperini (Jack O'Connell) who, along with two other crewmen, survived on a raft for 47 days after a near-fatal plane crash in WWII – only to be caught by the Japanese navy and sent to a prisoner-of-war camp. Adapted from Laura Hillenbrand's (Seabiscuit: An American Legend) enormously popular book, it's the inspiring true story about the resilient power of the human spirit. Beginning where the hit movie Unbroken concludes, the next chapter brings the rest of Louis Zamperini's inspirational true story to life. After surviving years of torture as a prisoner of war, Louis (Samuel Hunt) returns home from World War II, where he meets and marries Cynthia (Merritt Patterson). Haunted by his past, he is driven deep into despair. But when Cynthia turns to God at the 1949 Billy Graham Crusade, her most fervent prayer for Louis is to find peace and forgiveness. Based on Laura Hillenbrand's bestselling book, Unbroken: Path to Redemption is a "beautiful, beautiful film" (Kathie Lee Gifford, Today Show). "You Found Me" by Switchfoot - Music Video, The Making of "You Found Me"
Unbroken/ Unbroken: Path to Redemption 2-DVD Collection was published by Universal in January 2019 and is our 879th best seller. The ISBN for Unbroken/ Unbroken: Path to Redemption 2-DVD Collection is 5053083181802. Be the first to review Unbroken/ Unbroken: Path to Redemption 2-DVD Collection! Got a question? No problem! Just click here to ask us about Unbroken/ Unbroken: Path to Redemption 2-DVD Collection.